This was one of my favorite bike rides because of the scenery, the downhill trails, and the length of the ride. It was less sunny and a lot cooler out that day, which was kind of refreshing. 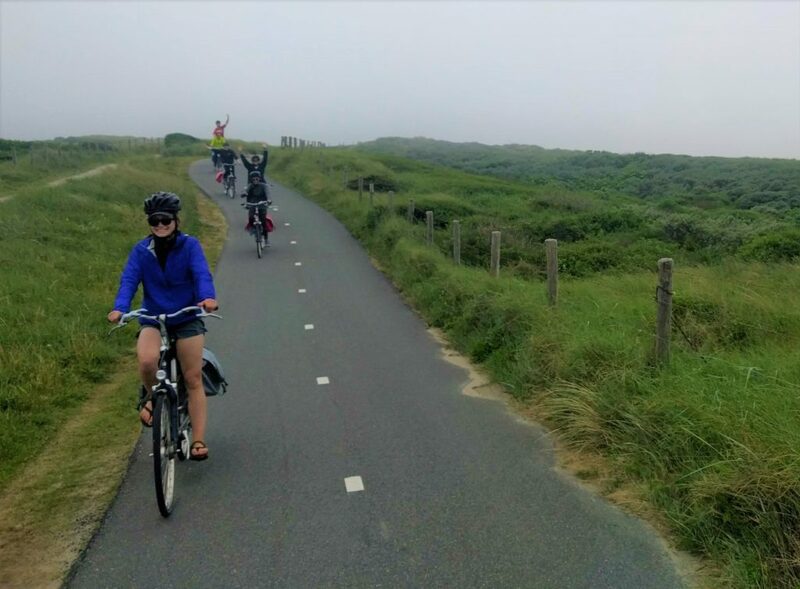 The scenery meant that riding from Den Hague to Katwijk was really beautiful. 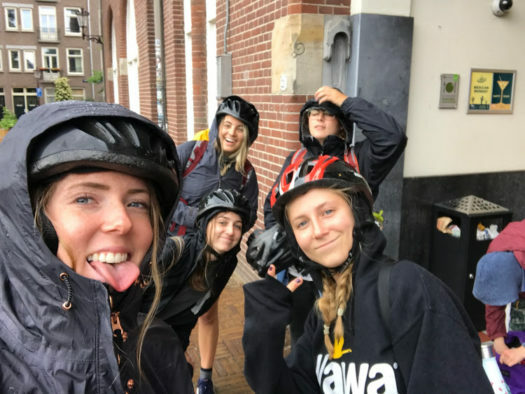 Students on the trip had the opportunity to do a ‘Snapchat takeover’ for UVM’s account – if you missed it, here’s the compiled videos from the day! 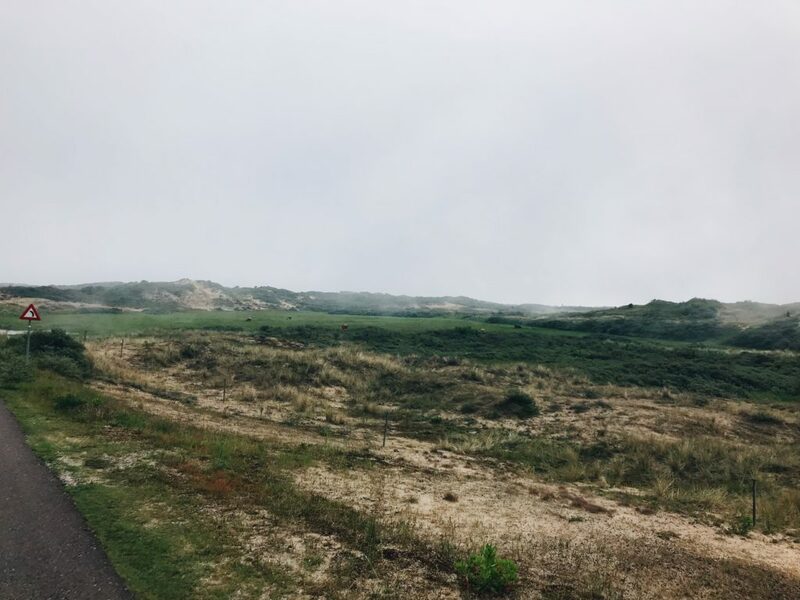 Natural sand dunes protect several coastal towns, we were treated to these dunes through Wassenaar on our way to Katwijk. Here is a video of me celebrating my birthday with the group. Everyone was so great to surprise me with two cakes (and a mango for Ava and chocolate for Nina). I especially enjoyed Kris’s Dutch Happy Birthday song! 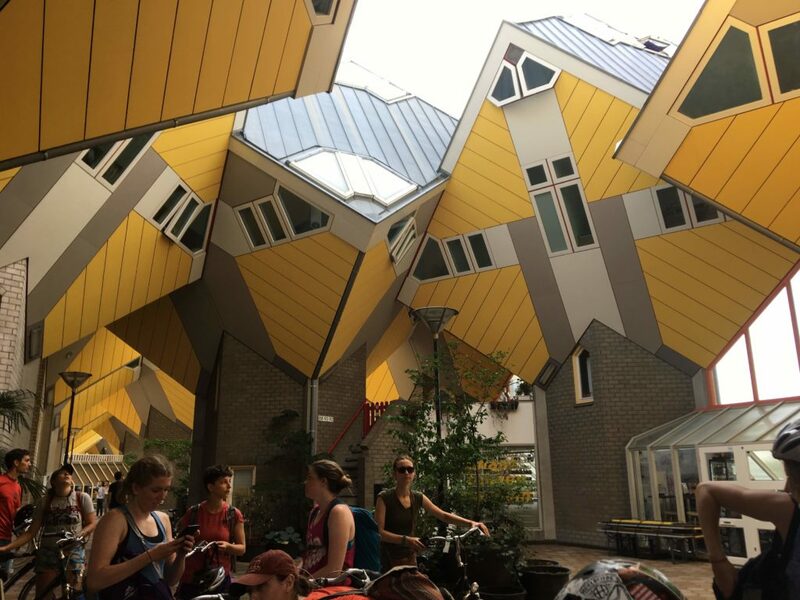 Today was a great day because we went on multiple tours and the biking was not too rigorous. 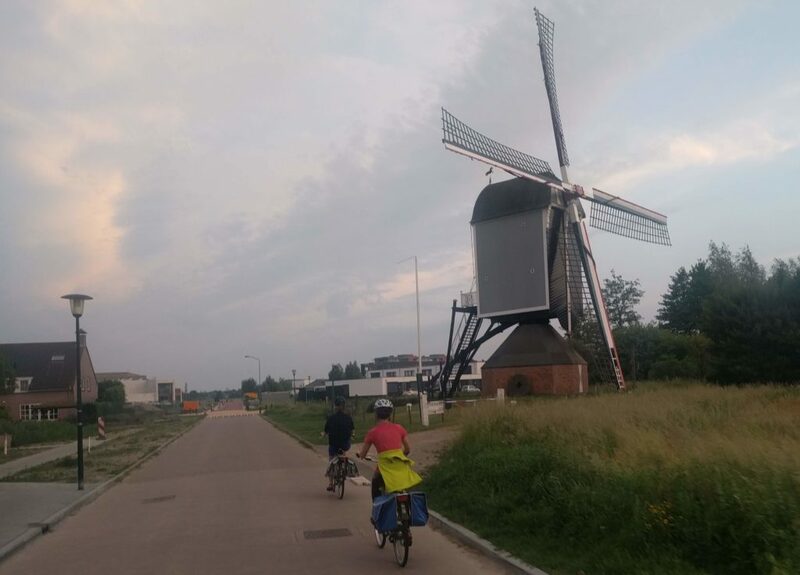 I especially liked to see all the windmills, and even though it was my birthday, I was able to get some great gifts for my family. 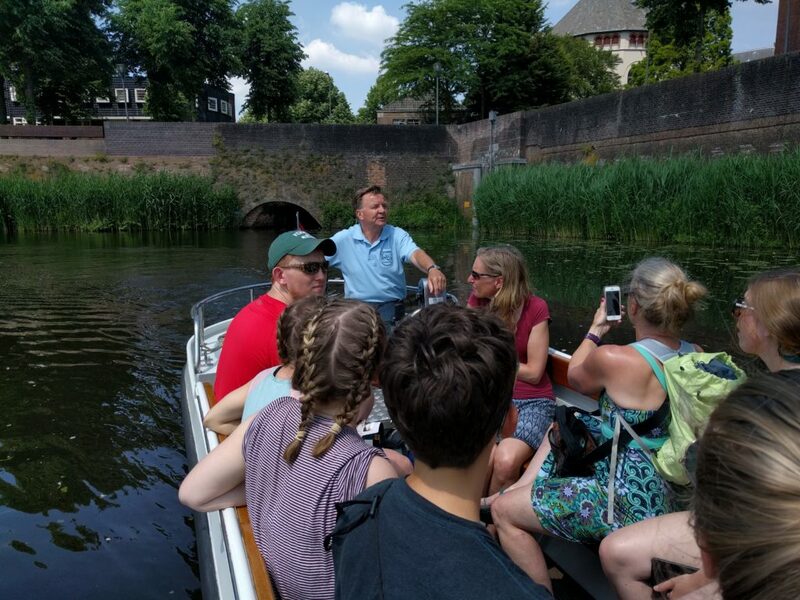 The group saw the city’s canals by boat – some of the passageways date back to the 13th century! On Saturday, we traveled from Almere to Den Bosch by train. The bike cars that were designated for bikes were just barely able to fit our bikes, even after we split the 17 of us into two groups. 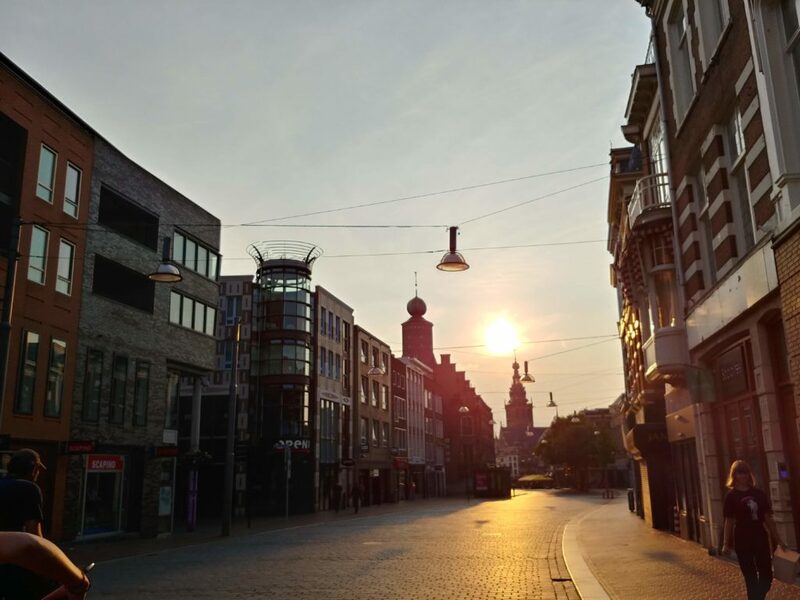 After a 30 minute train ride, we arrived in Den Bosch and had time to explore the open-air market in the city center. We tried some local cuisine, such as “ice koffie” which, to our surprise, was ice cream blended with coffee. Some members of our group were daring enough to try a local delicacy, haring, which is pickled fish with white onion.